This guide was created to know how the achievements are triggered, when/where it happens, and for those who need a second opinion with more detail. Quick Guide to Getting Started. You need to know this: all achievements must be done in 1 vault. Making multiple vaults will not combine other vaults achievements counter. Example : vault 101 has 4 legendary weapons and vault 202 has 2 legendary weapons therefore the legendary weapon achievement counter will be at 4, not 6. These counter are base on the vault's Stats (F3 button and see image below). Making multiple vaults is not necessarily bad as it can increase the chance of finishing some very expensive (using real money) achievements. All achievements can be done without spending any real money however it can be dreadfully long and persistent game. Patience is a virtue that is needed in this game. Your most likely don't even need to read this section as these achievement come naturally easy. 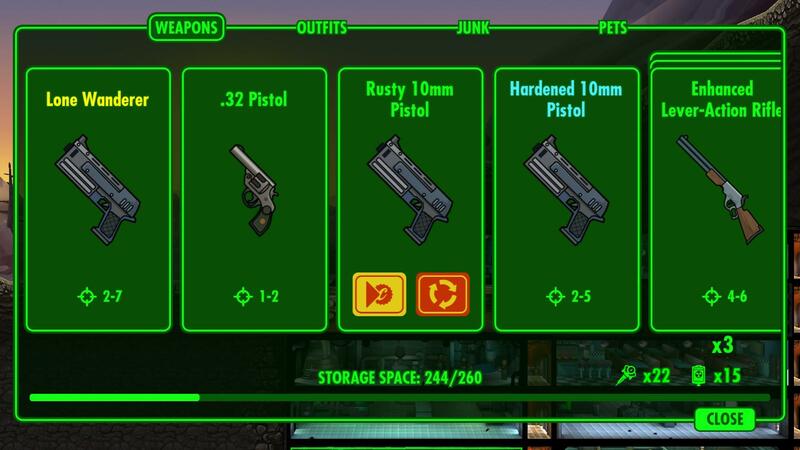 When & Where: As soon you get 1000 and 10,000 caps repectively & in Vault Mode. 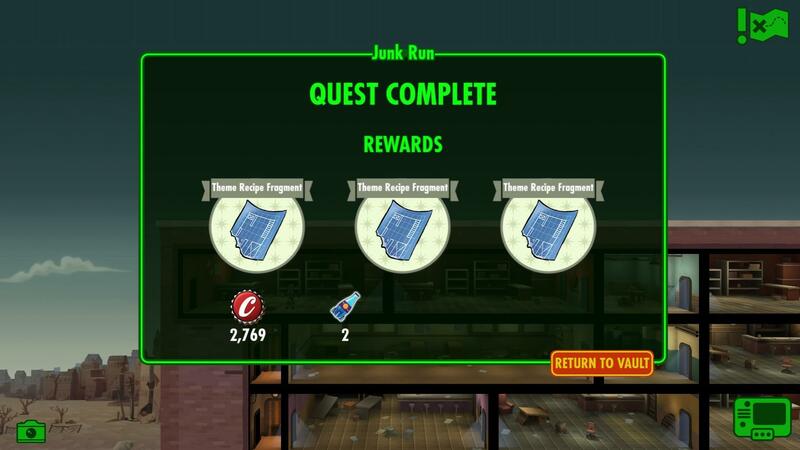 Extra Detail: There are many ways of getting caps (lunchbox, succesfully rushing a room, finding and clicking the mysterious stranger, sending your dwellers for wasteland exploration, quest but seriously by now you know the basic of the game). When & Where: As soon you built 3 power station in a row & in Vault Mode. Extra Detail: It will cost you 375 caps to built 3 power station in a row. When & Where: As soon you built 3 dining room in a row & in Vault Mode. Extra Detail: It will cost you 375 caps to built 3 dining room in a row. When & Where: As soon you built 3 water treatment in a row & in Vault Mode. Extra Detail: It will cost you 375 caps to built 3 water treatment in a row. When & Where: After you built 25th and 50th room respectively & in Vault Mode. Extra Detail: A merge room is consider a 2 or 3 room, some room takes 2 or 3 space but it worth 1 room (Example : Overseer offfice, Weapon Workshop, etc...). 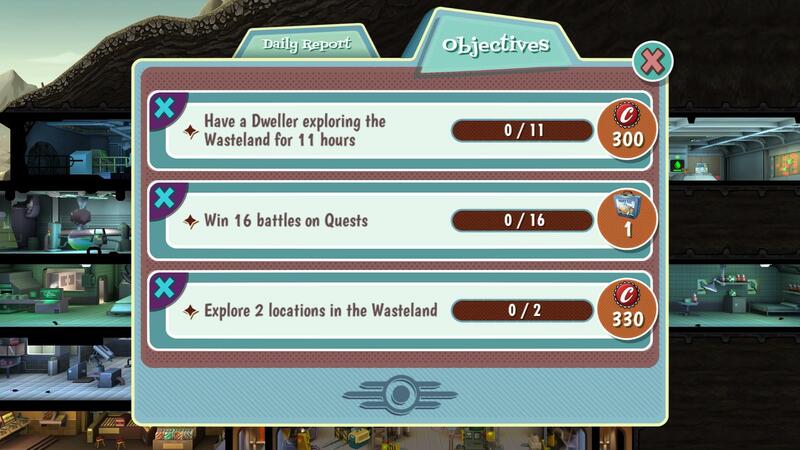 When & Where: As soon you click on the dweller's level up at 10, 25 and 50 respectively & in Vault Mode. Extra Detail: This must be done from a level 1 character. 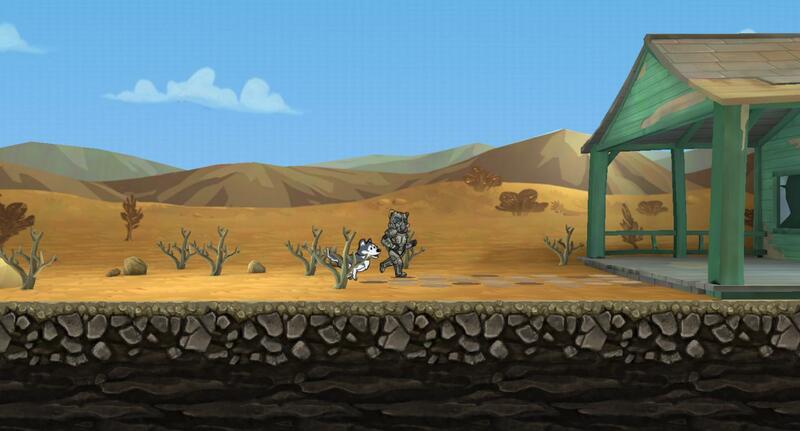 It cannot be done with a rare and legendary dweller. When & Where: As soon you click the pregnant woman giving birth for the 25th time & in Vault Mode. Extra Detail: A male and a female is needed to be in a living quarter to "Pillowtalk" than Fallout Boy will appear on your right showing his thumb up of approval with a smile on his face. This mean the female got pregnant and will give birth in 3 hours. When & Where: After your 50th succesfull Rush & in Vault Mode. Extra Detail: Rushing a room work only by the following : Power Station, Dining Room, Water Treatment, Medbay, Science Lab, Nuclear Reactor, Garden, Water Purification, and Nuka-Cola Bottler. When & Where: After completing the upgraded a room to tier 3 for the 20th time & in Vault Mode. Extra Detail: All room can be upgraded to level 3, merge room is consider a one room as it is connected to one upgrade. When & Where: After building your last room (Nuka-Cola Bottler) & in Vault Mode. Extra Detail: You will need 100 dwellers, a huge amount of caps and built all 24 room. It is not necessary to built merge room so long you built one of each room to make the counter go up. Make sure you did built one of each as it possible you might have miss one room such as the Theme Workshop or the Barbershop. When & Where: After you defeated the 50th Raider Attack & in Vault Mode. Extra Detail: Only Raiders count to the achievement anything such as ghoul and deathclaws will not count. Raiders come in group of 3 and worth 1 Raider Attack. They come in random therefore it is impossible to predict there arrival. When & Where: After completing your 100th objective & in Vault Mode. Extra Detail: Objective (F4 button), they are all randomize you can skip them once daily however the second and over skip in a day will cost you 2 Nuka-Quantum. There are many objective all with a different quantity requirement, different reward, and difficulty base on what you have in your vault. Difficulty are base on the availability of the room and for every 10 dwellers in total population. 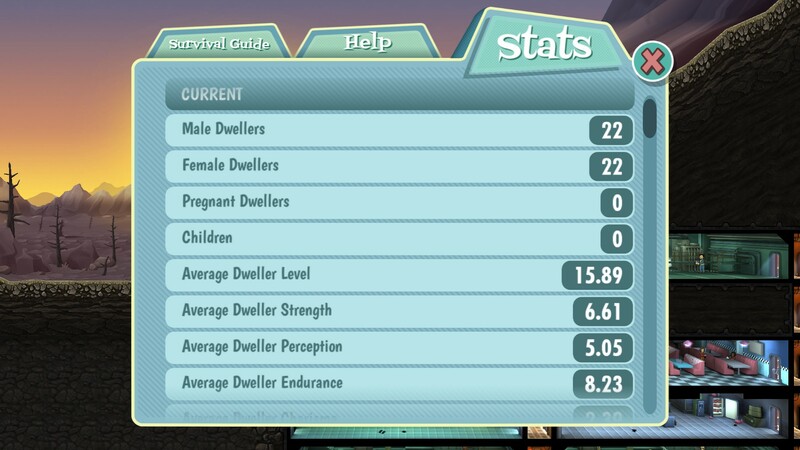 For Quest you will need in minimun 18 dwellers with an Overseer's Office (1000 caps), tier 2 upgrade 35 dwellers and 3500 caps, tier 3 upgrade 55 dwellers and 15,000 caps. 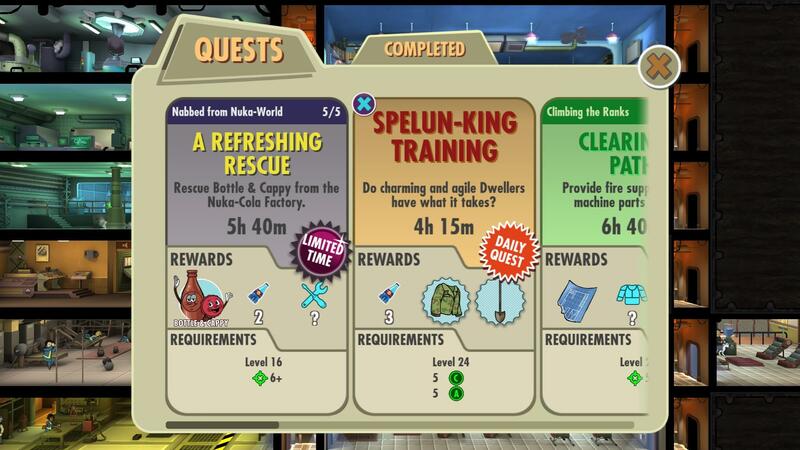 Each Quest has a many variation requirement: dweller's level, weapon damage, outfit type, and S.P.E.C.I.A.L level. Most of these achievement are very straight foward and very time consuming. When & Where: After you send your dweller home from a quest and collected the loots with 10th, 30th, 60th, and 100th quests completed respectively & in Vault Mode. Extra Detail: 100 Quests does not sound much but assuming you do all the daily quest this would mean you need 100 days, with weekly quest 88 days, with single quest (64ish days, and not to mention the sequence quest with all the time variation with gears and level... what a mess. However the fastest way to get 100 quest completed are all about the Nuka-Quantum. 1 Nuka-Quantum is worth 2 hours of travel and if you got a pet (Sphynx or Husky) that can reduce the time travelling back to the vault. When & Where: After killing the 10th Boss & in Quest Mode. Extra Detail: Bosses come from all kind of enemies : Radroaches, Mole Rats, Raiders, Ghouls, Radscorpions, and Deathclaws. They all have one thing in common - a red skull. When & Where: After killing the 500th creatures of the waste & in Quest Mode. Extra Detail: Similar to You're Fired! achievement but this time it anything you kill during Quest Mode for... 500 times! When & Where: After collecting 100th Radaway and 100th Stimpacks & in Quest Mode. Extra Detail: Unfortunaley there is no way to find out how many you have collected Radway and Stimpacks unless you wrote it down on a piece of paper. You may want to have some very high level intelligence dwellers while questing as it does help out the odds of getting them. You will get this achievement as soon you click on the glowing container/corpse and very likely a radaway. When & Where: As soon you collected the 10th weapon from the Weapon Workshop & in Vault Mode. Extra Detail: You will need 22 dwellers and 800 caps to built a functional Weapon Workshop with many junks from quest, wasteland exploration, and scraping weapons and outfits (see Scraptastic achievement). From there, any common weapon will do. This might take some hours depending on what your crafting and your dwellers S.P.E.C.I.A.L level to craft all 10 weapons. Finding weapons from quest and wasteland exploration do not count. When & Where: As soon you collected the 10th outfit from the Outfit Workshop & in Vault Mode. Extra Detail: You will need 32 dwellers and 1200 caps to built a functional Outfit Workshop with many junks from quest, wasteland exploration, and scraping weapons and outfits (see Scraptastic achievement). From there, any common outfit will do. This might take some hours depending on what your crafting and your dwellers S.P.E.C.I.A.L level to craft all 10 outfits. Finding outfits from quest and wasteland exploration do not count. When & Where: As soon you have collected the 8th theme from the Theme Workshop & in Vault Mode. Extra Detail: You will need 42 dwellers and 3200 caps to built a Theme Workshop along with many junks, caps and all theme recipes. Theme recipes can be bought with Nuka-Quantum from the Theme Workshop or found from Quest (9 pieces of fragments per Theme). I highly recommend you do Paint ‘n Elbow Grease and Decorator achievements first before buying the theme recipe. When & Where: Once you collected all three oufit, weapon and theme & in Vault Mode. Extra Detail: You will need 42 dwellers, approximately 15 000 caps to set up all three workshops along with many junks plus 1 theme recipe. When & Where: Once you craft and dress the 10th appearance on your dweller & in Vault Mode. Extra Detail: You will need 50 dwellers and 10 000 caps. Character with a high Charisma reduce the time to craft the appearance. When & Where: By scrapping your 500th weapon/outfit & in Vault Mode. Extra Detail: Pressing the F2 button will lead you to the image shown below. From there you can go to weapon or outfits, select any of them than click the red-three-arrows button to scrap it. By scrapping it there is a small chance you will recover no-junk or 1 to 2 junk. When & Where: 1 real life day after collecting all 9 pieces of a single theme & in Vault Mode. Extra Detail: Theme Fragments can be found on any Quest whether it tells you there is as a reward or not. 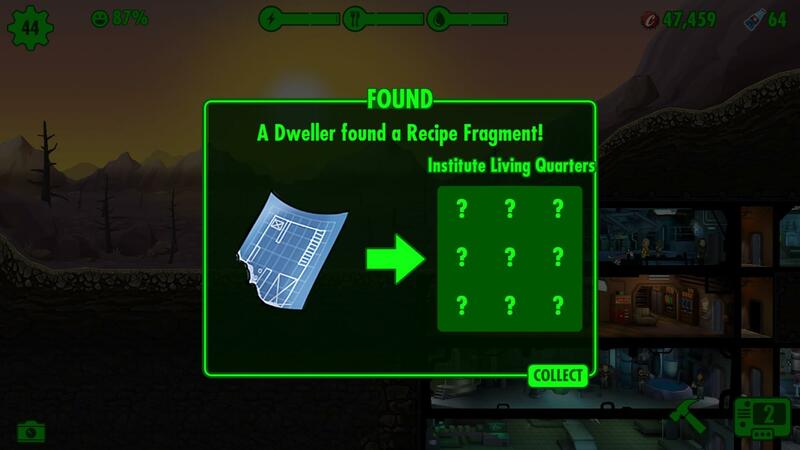 When & Where: As soon you collect the loots with the missing last fragment of 4th theme when your dwellers returned from quest & in Vault Mode. Extra Detail: Very similar to Paint ‘n Elbow Grease achievement but by doing it 4 time. These achievements here are the expensive achievement due to the fact that the best way to get them are from lunchbox in which the loot are randomize but most of all it can be bought with real money. You can still get free lunchbox but the rate are 1 lunchbox every week from the daily inspection, some random objective that may or may not have lunchbox, and from daily quest that too that may or may not have it. When & Where: As soon as you get the 20th legendary outfit & in Vault Mode. Extra Detail: Legendary outfit can be obtained from lunchbox, Legendary Dweller (except Amata), crafting legendary outfit (with recipes and junks) from a tier 3 Outfit Workshop, Wasteland Exploration, and Quest. Duplicate legendary outfits do count to this achievement. When & Where: As soon as you get the 20th legendary weapon & in Vault Mode. Extra Detail: Legendary weapon can be obtained from lunchbox, Legendary Dweller, crafting legendary weapon (with recipes and junks) from a tier 3 Weapon Workshop, Wasteland Exploration, and Quest. Duplicate legendary weapons do count to this achievement. 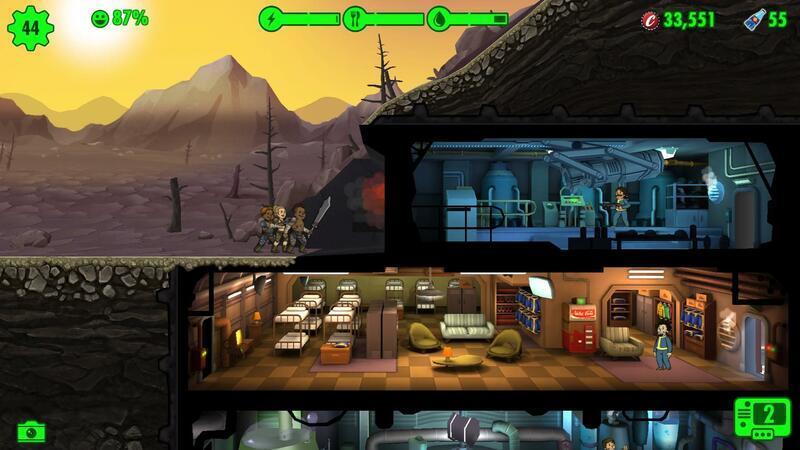 When & Where: As soon as your 20th Legendary Dweller is at the gate & in Vault Mode. Extra Detail: Legendary Dweller can be obtained from lunchbox and Quest. It cannot be obtained from babies. Duplicate Legendary Dweller do count to this achievement. The Quest are: Climbing the Ranks (level 35 with 4 quest sequence) and A Settler Needs Your Help (level 50 with 5 quest sequence).